After a recent executive board meeting of the Greater Bridgeport Convention & Visitors Bureau broke up, the fine folks at the gathering offered me some of the items they dined on during lunchtime. And it’s always a good offer when Mia Margherita Pizza is part of the mix. As I somehow managed to, at least for a while, say no thanks, it struck me that I’m literally just a short walk away from some of the best pizza available in a region where quality pizza is overflowing. Then I realized if you’re just about anywhere in the city you’re not too far away from a good pie. With that in mind, I thought I would do a virtual pizza tour of Bridgeport. Starting right here at Charles Pointe and going down Jerry Dove Drive, up State Route 131, onto U.S. Route 50, down Lodgeville Road, onto Johnson Avenue and ending at the Meadowbrook Mall. Trust me, there’s a lot of pizza. There’s so many, in fact, that there’s a chance I might miss one. The good news is that I’m certain that not only someone call me out, but they’ll insult me for missing something and multiple others will insult the establishments I put down. That’s the sad part of social media. The good part is, it’s not going to stop this from taking place. And I’m going to start from where I began. It’s not even a decade old, but Mia Margherita at Charles Pointe has some of the best pizza around. 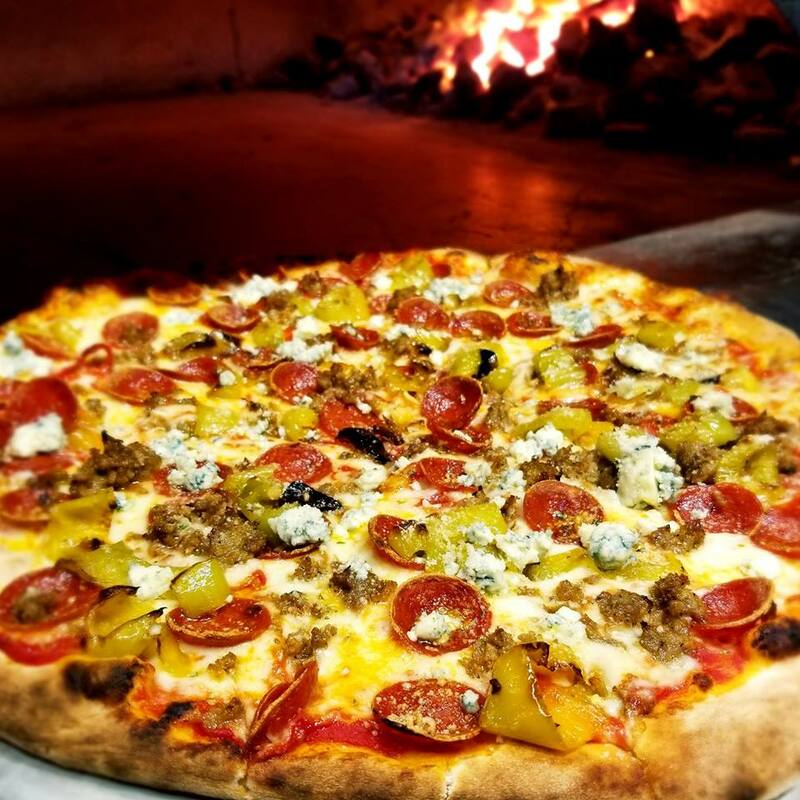 The coal-fired pizza is something myself and my wife look forward to on a regular basis and I have said to my friend and owner/operator Scott Duarte I’ve yet to have a bad meal there – pizza or otherwise. 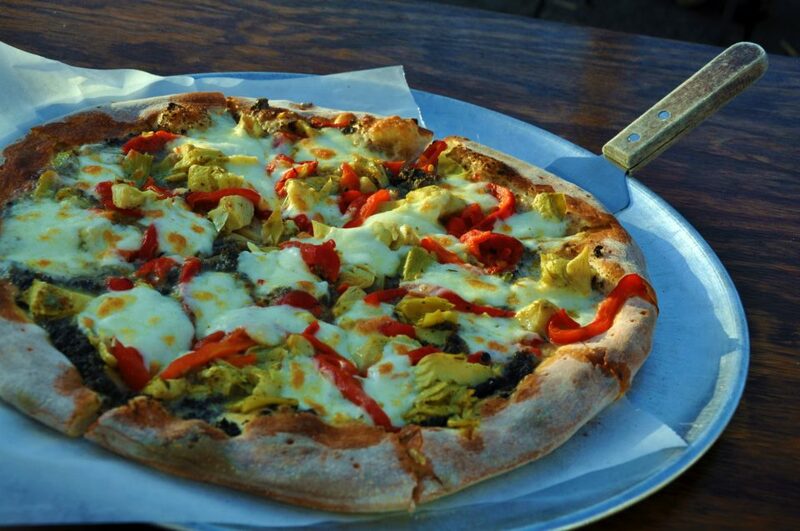 If you don’t want a whole pie, head to Mia Market next door at lunch time and grab a slice. You won’t regret it. If you’re in a hurry, just walk out the door, go about what’s the equivalent of a block and a half and you can walk in and get you a Little Caesar’s Pizza. They’re always ready and the next thin crust pizza at $6 is worth every single penny. The only problem? They got rid of their cinnamon rolls, which was a dessert treat I was fond of even if my ever-stretching pants weren’t. You don’t have to leave Charles Pointe to find your third stop. Instead, you just need to go down to the opposite side of the massive development near the Fairmont Federal Credit Union and across the roadway from the new 911 center. The still almost new Mountain State Brewing Company is already a hit with many on the local circuit. It’s not the first location for the business, but it’s the first in Harrison County and the wood-fired pizza is spectacular. If you haven’t given this place a try, book a little bit of time and do just that. Once you’re done there, the next trip will require a little bit of travel. You’ll need to head down Jerry Dove Drive and take the Route 131 – Benedum Drive exit – and head toward Oliverio’s Ristorante. The dining is upscale and the pizza is old school. 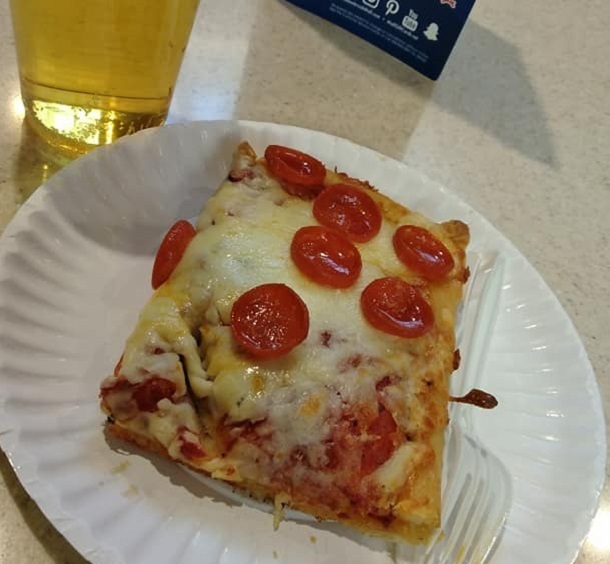 I’ve written before about the greatest single slice of pizza I ever had and it goes back to my pre-teen days when Oliverio’s was simply known as Sonny’s. 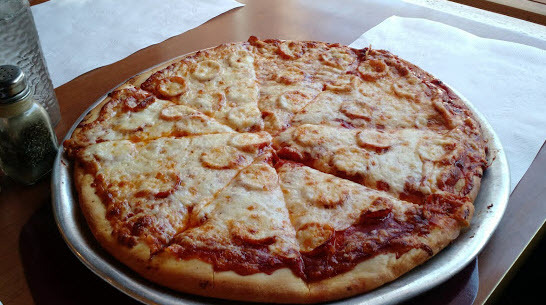 It may be Oliverio’s now, but Sonny Oliverio’s pizza is still in play on the menu – Sonny’s Original. My suggestion is to give it a try. I’m pretty sure you won’t be disappointed. Now, if you don’t have time to wait for a pizza or want to sit down in a formal setting, the next choice is literally a stone’s throw away and across the street. Although some may not be fans of chain restaurants, Domino’s has been around long enough that it’s got some credibility. I’m not a huge fan of Domino’s, but I’ve also never turned it down when it’s available. It’s convenient, not too bad and comes at the right price. The next place to grab a pizza is one that comes up frequently in debates as the best in Bridgeport and the best in the area. Most know by now I’m talking about Twin Oaks. Let’s be serious, much like Oliverio’s, Twin Oaks is a Bridgeport iconic restaurant. They have the staying power to prove it. 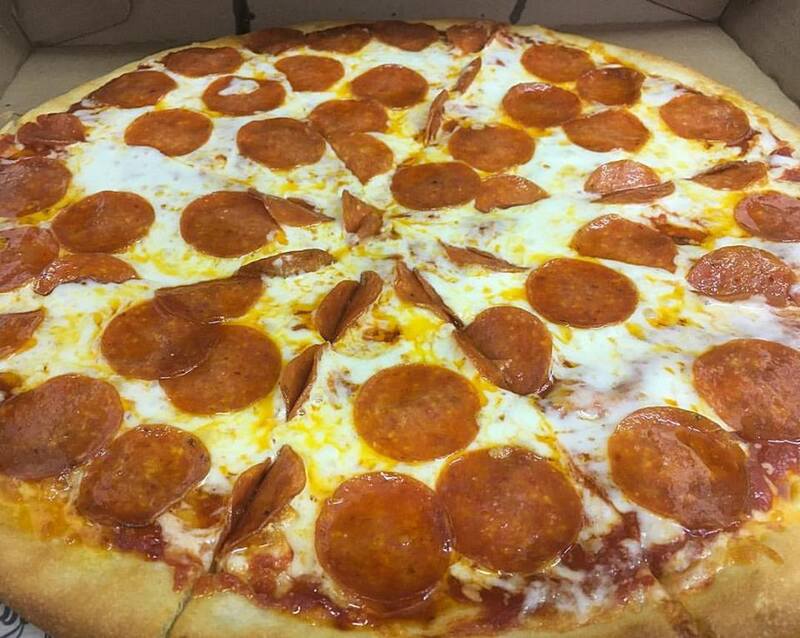 When it comes to Twin Oaks, I want the basic – cheese and pepperoni. And something else I’ve noticed in recent years, it’s much better eating it there than it is to go. Maybe there’s no difference, but that’s my take. Once you’ve paid the tab there, you’ve got a couple of additional stops on Route 50 – or Main Street – to others. Both are national brands and both are within eyesight of one another. The first as you’re heading on Route 50 West is Pizza Hut. Another of the long-established brands in the city, Pizza Hut has been at the location for decades. They have the delivery service and offer specials on a regular basis and, yes, much like Twin Oaks this is the one national pizza chain that I want to eat on site. There’s something not nearly as good as a take home brand. Once finished, wipe off the mouth and walk – or rather drive – across Route 50 and hit up the new Papa John’s location. There are those that compare its offerings to Dominos, but I’ve always felt they are two entirely different brands and tastes. While I’m not a regular, if I opt for a pizza there the best I’ve ever had was their Buffalo Chicken pizza. Yes, it’s that good. If you’re ready for your next stop, this one may be a little bit of a reach. The Brickside Bar & Grille is almost exclusively in Bridgeport on the corner of Lodgeville Road and Tolley Drive as you make your way to Johnson Avenue. However, a small portion of the property is in Bridgeport so I’m going to count it. Let me say, for the record, this pizza should be mentioned more often as among the best in the area. It’s that good. And if you’re like me and like to dip your crust in good ranch dressing, Brickside’s ranch dressing is the best ranch dressing in the region in my opinion. It’s the best since Cactus Jack’s closed its doors many years ago. As soon as you sop up the crust with ranch, it’s time to head down Lodgeville Road and make a quick pit stop at the Go Mart. And not to go to the bathroom. Inside the Go-Mart is Gino’s Pizza. During my previous gig in another media outlet, I worked at the Blake Center. More than once I grabbed a Gino’s Pizza to take home for dinner. On every occasion, it was worth the money I paid for it. By now, you may want to head home by hitting Interstate 79. If you do, you’d miss a long-standing pizza place that is another falling into the overlooked category. For decades now, The Pizza Place at the Meadowbrook Mall has been a go to on any shopping excursion that goes to long. You can see your pizza right in front of you. 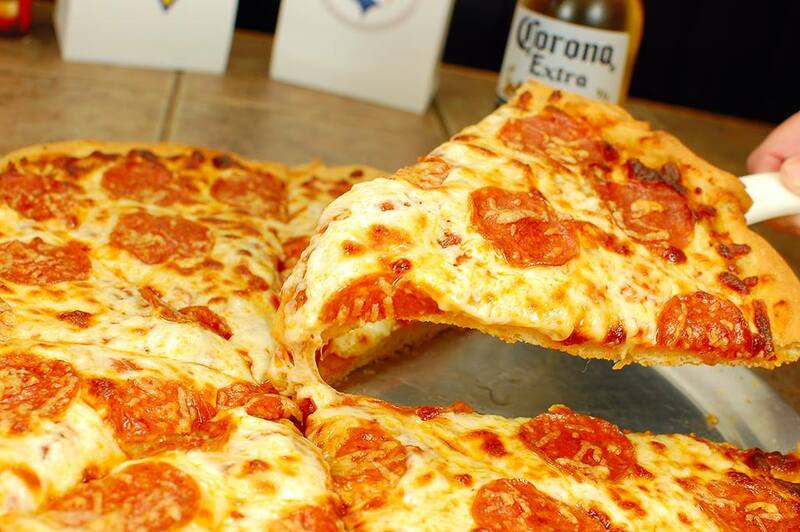 Choose your slice, thick or thin, and they’ll heat it for you and you can actually order a cold beer to wash it down. For those not wanting to slum with folks like me in a booth at the mall, you can order an entire pie to go. I’ve done it before, but it’s been years. I think it may be time. There you have it. The City of Bridgeport Pizza Road trip, minus convenience stores and kids menu pizzas, I think I hit them all. I have the pounds to prove it. Editor's Note: Top photo is from Mia Margherita, while the second photo is from Mountain State Brewing Company. That's followed by a pizza from Oliverio's Ristorante and the well-known pie from Twin Oaks. The bottom two photos are from the Brickside Bar & Grille and The Pizza Place at the Meadowbrook Mall. All photos from business Facebook pages or by Connect-Bridgeport.